Are you a car junkie and looking for a social network dedicated for car enthusiasts around the world? CarCrazee has finally arrived to fit your lifestyle! 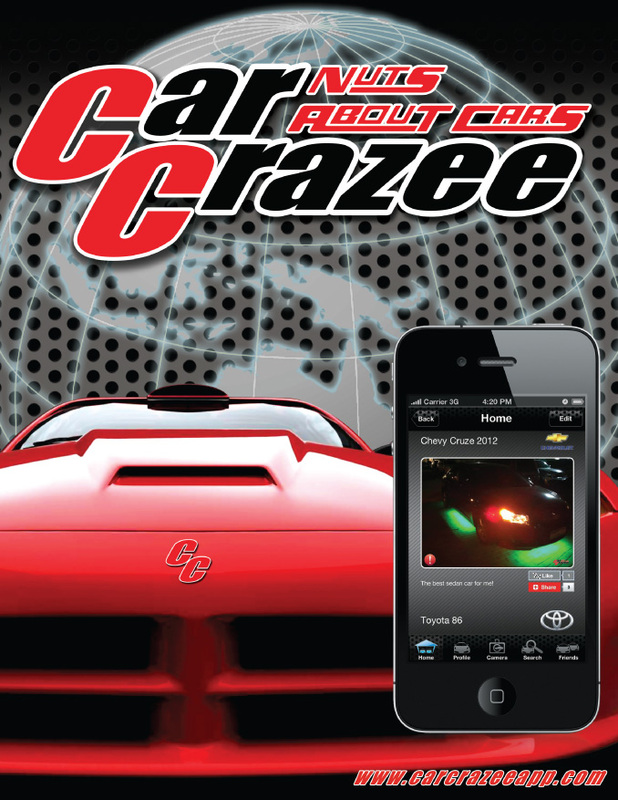 CarCrazee is AppLabs Digital Studios Inc. and Crazee Apps Inc.'s flagship FREE car photo sharing application and world's first mobile social networking application for car lovers available for iPhone, iPod and soon to Android users. Today's tech-savvy generation with interest on automobile can finally connect with everyone about new cars, upgrades and custom modified cars using CarCrazee. 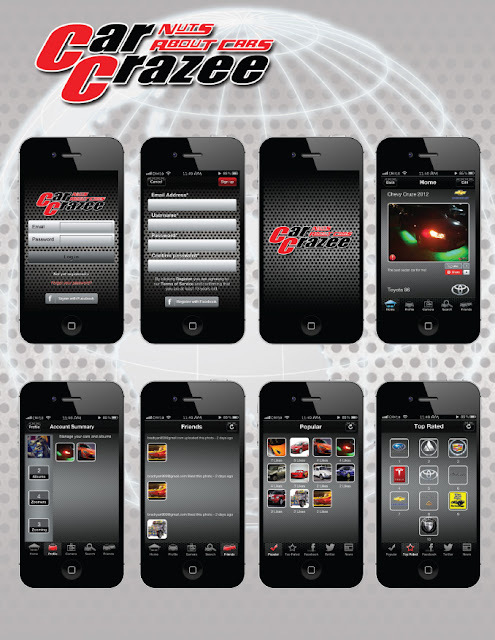 CarCrazee is designed to match your interest and for you to further explore your nuts on cars. Social Networking Capable - Just like Twitter and Facebook, CarCrazee have interesting network terminologies. "Zoomers" are those CarCrazee followers. "Zoom in" to follow fellow car enthusiasts, and 'zoom out' to unfollow. Social Network Sharing-Enabled - Share images available on CarCrazee via Facebook and Twitter. Invite your friends to be a zoomer! News Feed - This button will help you to be updated on the latest news and innovation in the automobile industry. Unlimited Number of Albums - CarCrazee allows users to create an unlimited number of albums with 10 photos per album for better organization of images. TheSummitExpress hopes unli number of photos per album too. Search Feature - Find your friends and fellow car lovers, search vehicle by brand, model and location using search tool or merely view random car photos you really like. Popular Cars Category - Find out which cars are the most popular around the world and within the community. Top Rated Brands Category - Find out which brand of cars are the most used and customized around the world and within your community. Photo Flagging - CarCrazee allows you to flag inappropriate and invalid photos and report abuse to the administrator. Excited to experience CarCrazee app? Download it FREE on Apple App Store now. Compatible with iPhone 3GS, iPhone 4, iPhone 4S, iPhone 5, iPod touch (3rd generation), iPod touch (4th generation), iPod touch (5th generation) and iPad. Requires iOS 4.3 or later. Android users may download also the app on Google Play soon. Learn more about CarCrazee via http://carcrazeeapp.com/ . AppLabs Digital Studios Inc. is an application development company headquartered in Eastwood City, Philippines. Established in 2011, it develops custom application solutions that will educate, entertain and iform all people of all ages.Crazee Apps Inc. is one of AppLabs Digital Holdings' application development companies with headquarter in HongKong. So, what are you waiting for? Just Snap, Share and Enjoy. Be Crazee now!